In the centre of Newton Stewart about 100 metres south of the Parish Church. A bit of a mystery about the CWGC grave. Above is listed on CWGC but I have searched the graveyard and there is nothing to be found. 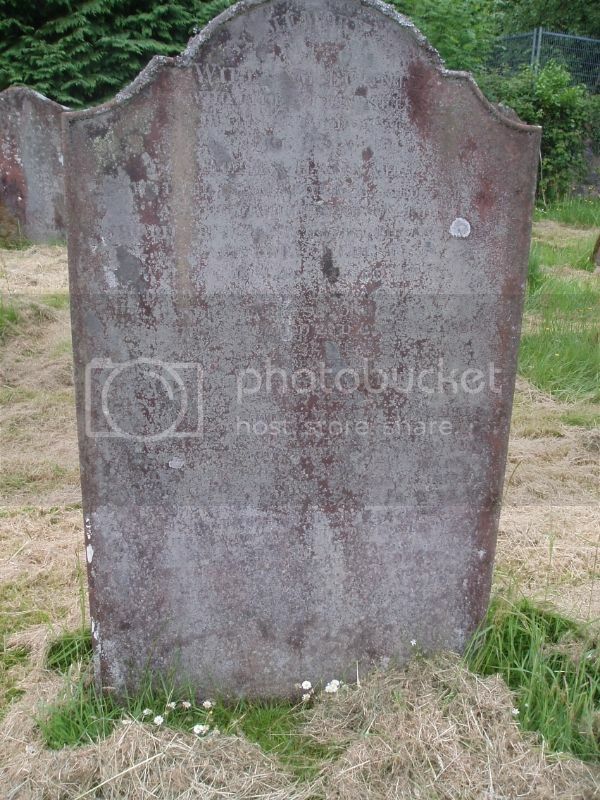 There are 4 family graves for Hewetson but he is not listed on any of them. I also have a book by the local FHS listing all the inscriptions from the graveyard, transcribed in 1975 and checked in 1999 and he is not listed there. I have written to CWGC for further details and will report back. 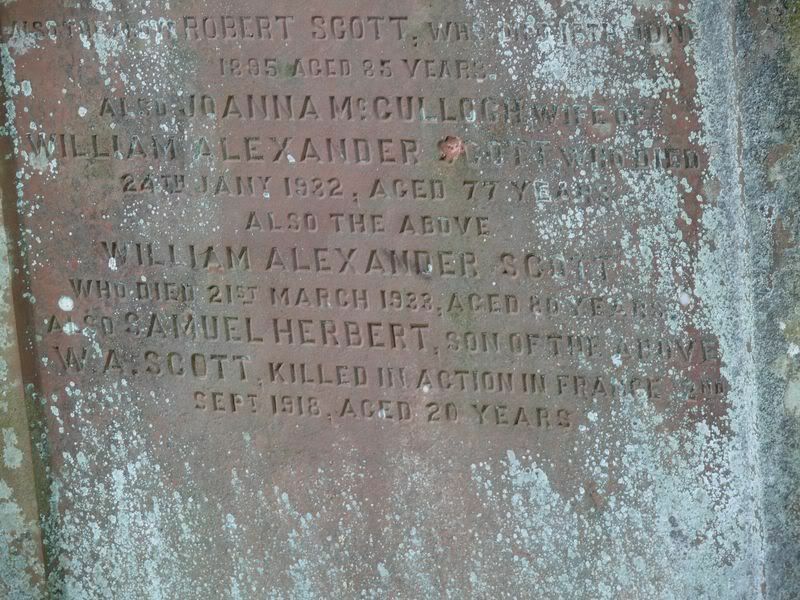 Additional information: Son of William A. and Joan Scott, of Creebridge, Newton Stewart, Wigtownshire. Grave/Memorial Reference: III. F. 11. I've come across this a few times. After speaking to Iain Anderson, the CWGC Inspector for Scotland, he explained that on occasion, families didn't wish their sons/daughters to be commemorated and as such, they have to comply with their wishes. "In memory of Captain Horatio Stewart late of the Rifle Brigade he was the only son of Lieutenant General the Hon Sir William Stewart KGCB & KTS........."
I don't think the records for this graveyard exist, it was a parish burial ground, not particular to the church and it was closed in 1895. 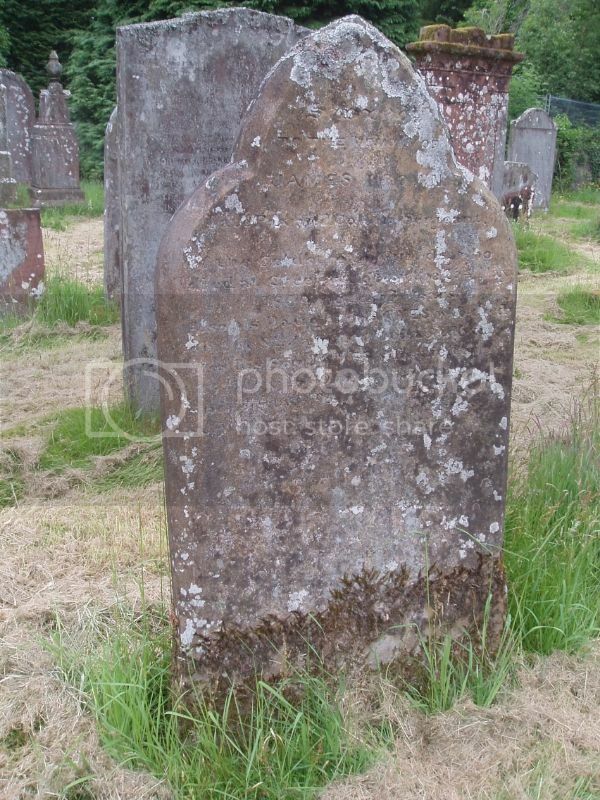 The occasional burial after this date is always an addition to a family grave but as I say, he is not listed on any of the 4 family stones. 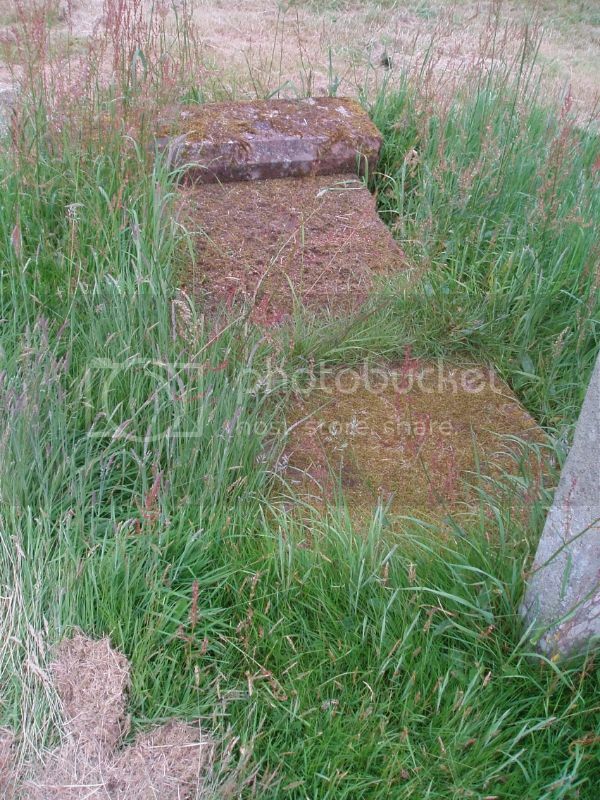 Well - I have found Hewetson's grave, but it is not in this graveyard! 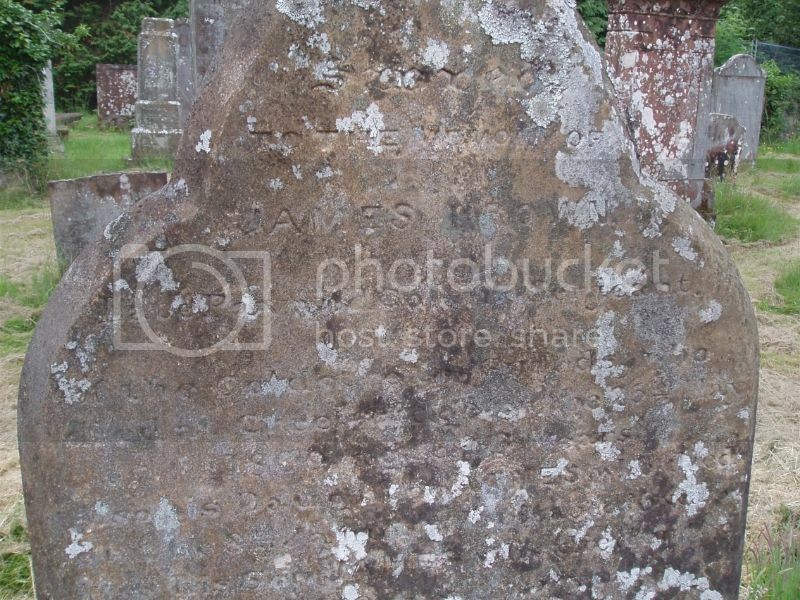 His grave is actually in Penninghame Clachan graveyard a few miles away. I will post it separately of course but also report to CWGC the error in their records. 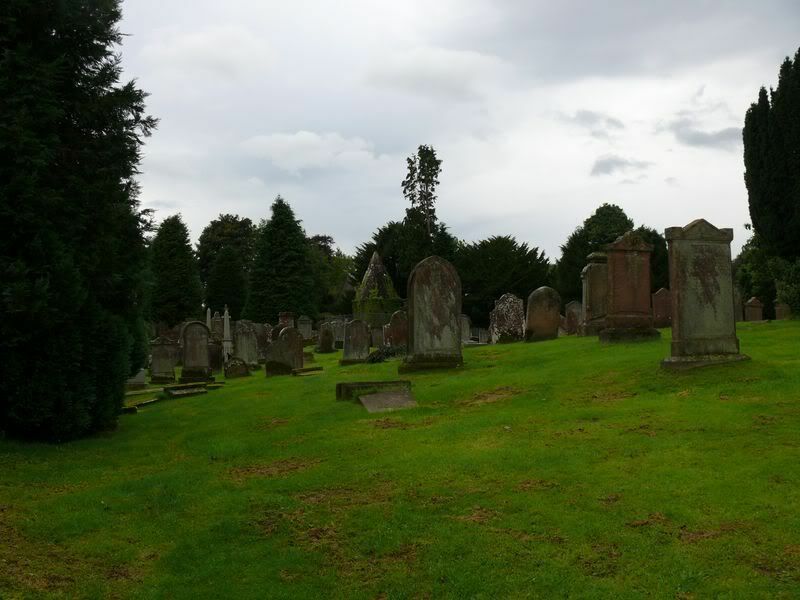 I paid a visit to the cemetery this weekend and, using the Dumfries & Galloway Family History Society's invaluable booklet "Penninghame Old Kirkyard", I was able to find a few more headstones. Many have now fallen and others are virtually unreadable so I have made extensive use of this publication. Those I was able to locate are below. Wigtownshire Free Press (26 November 1914): Word has just been received in Newton Stewart that Samuel Drysdale, who resided in Queen Street, has been killed in action. No particulars are given. 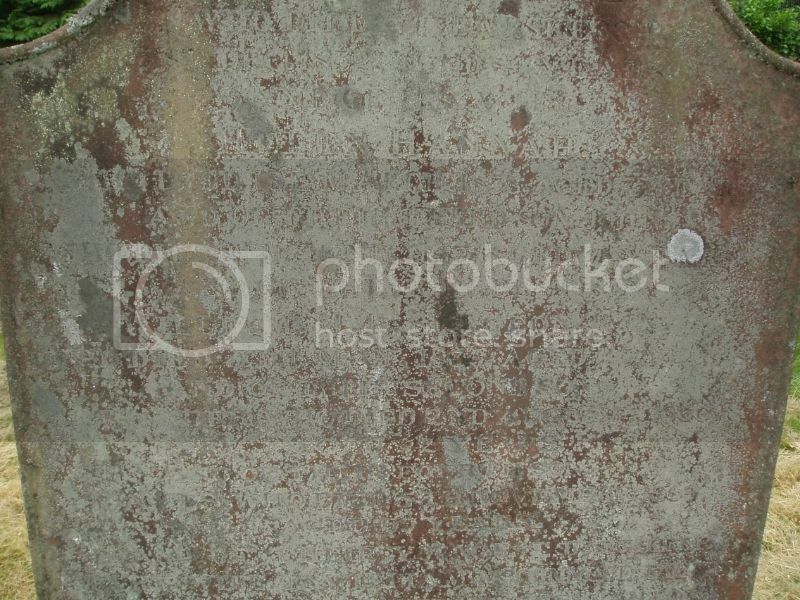 The relevant inscription is now obscured by the moss at the foot of the headstone. The full inscription is: Erected in memory of James Duncan who died 27th March 1886 aged 78 years also his wife Juliet Douglas who died 24th Octr 1882 aged 76 years also their son David Douglas who died 23rd May 1859 aged 25 years also their daughter Isabella Guthrie who died at Edinburgh 28th Feby 1882 aged 38 years also their son Robert Duncan who died 4th October 1882 aged 46 years also their daughters Helen and Jessie Douglas who both died in infancy also their grandchildren - Jessie Duncan who died 19th February 1881 aged 14 months, also Jessie Duncan who died 4th December 1887 aged two years and ten months also Eliza Duncan who died 16th February 1888 aged 7 years also Julia Douglas Duncan who died 18th May 1910 aged 27 years also their youngest son William Duncan who died at Glsagow 22nd March 1915 aged 66 years also their grandson Pte William Duncan RSF who was killed in action in France 9th April 1917 aged 25 years Deeply regretted also Jane Armstrong wife of the first named William Duncan who died 10th March 1920 aged 67 years. Additional Information: Husband of A. M. Haining, of Barholm Gardens, Creetown, Kirkcudbrightshire. Wigtownshire Free Press (15 March 1917): Word was received in Newton Stewart on Saturday that Corpl William Haining had been killed in action at the front the previous Monday, having apparently been shot by a sniper. Prior to the outbreak of war, Corpl Haining was in the employment of the Post Office at Newton Stewart but he early answered the call and enlisted in the Royal Scots. He had been at the front for a long time, and has his second leave in January. He was well known in Newton Stewart and was a great favourite of all who knew him, and highly respected by everybody. He was about 36 years of age, and is survived by his widow, for whom utmost sympathy is felt in her bereavement. 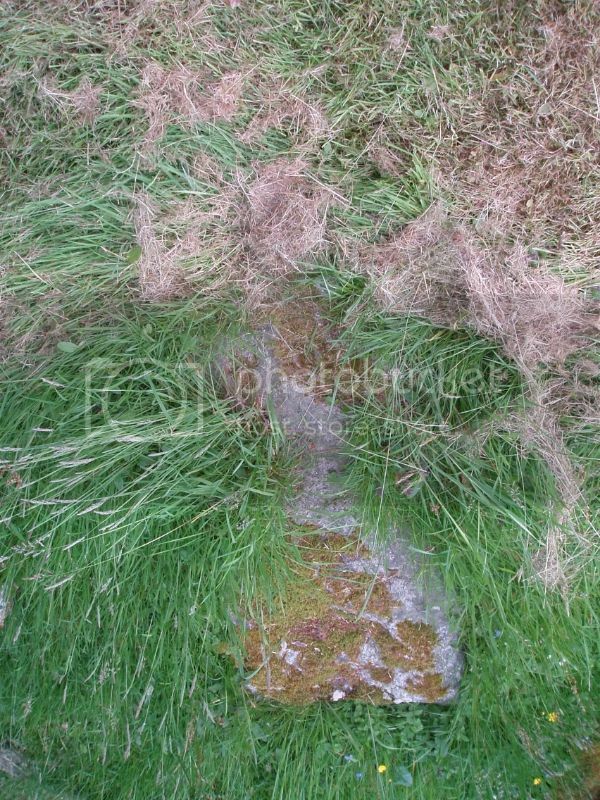 The gravestone is a Granite Cross fallen face down. The inscription reads: Erected by his two sisters in loving memory of Corporal William Haining 9th Royal Scots killed in action in France 5th March 1917 aged 35 years, beloved husband of Cissie Brown and youngest son of the late William Haining "Greater love hath no man than this that he should lay down his life for his friends." 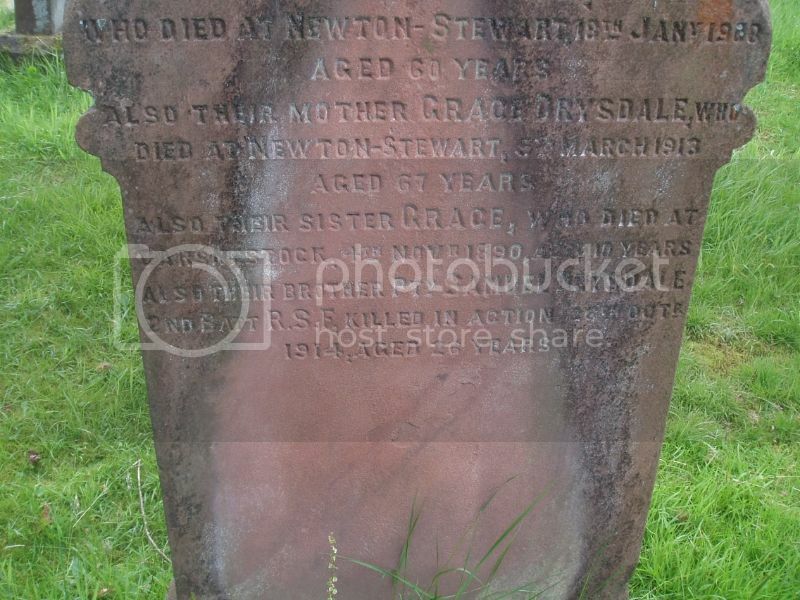 Additional Information: Son of Daniel and Janet Hodkinson, of Newton Stewart, Scotland. Wigtownshire Free Press (26th April 1917): Word was received on Tuesday afternoon that Mr John Hodkinson of the Canadian contingent, has been killed in action at Vimy Ridge on Easter Sunday. 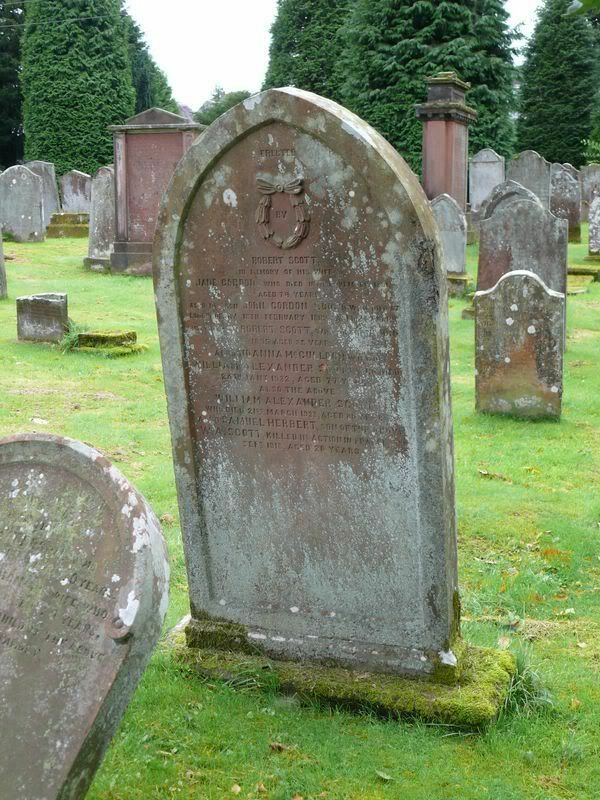 Deceased was a son of the late Mr David Hodkinson, and served time in the Commercial Bank, Newton Stewart, afterwards proceeding to Canada where he joined the colours shortly after the outbreak of war. He was well known in football circles throughout Galloway, and his efforts frequently contributed to the success of the local club. 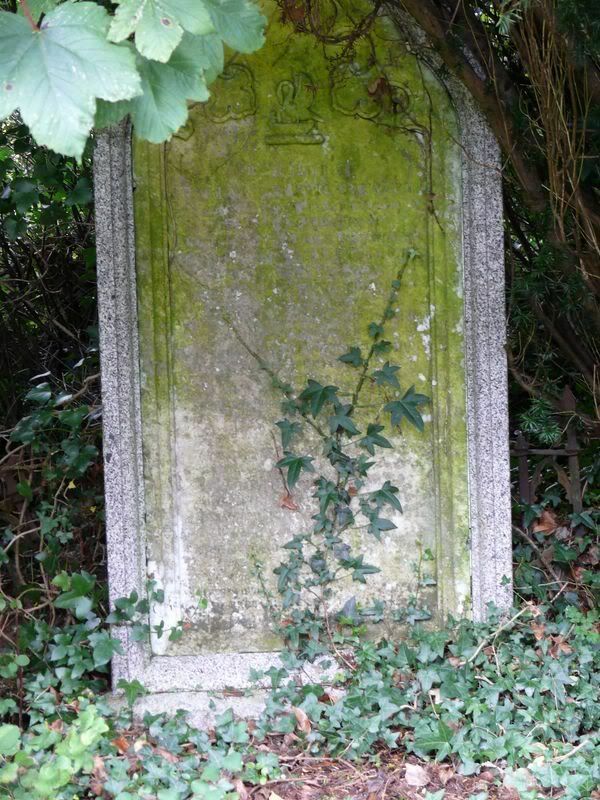 The headstone is fallen but the inscription reads: In memory of Janet Patterson wife of Daniel Hodkinson who died 18th May 1894 aged 38 years also the above Daniel Hodkinson who died 5th June 1896 aged 48 years. Also their two sons James and William who died in infancy. Also their son Pte John Hodkinson 72nd Seaforth Highlanders (Canadians) who was killed in action at Vimy Ridge France 7th April 1917 aged 27 years. Sacred to the memory of James Brown Late Pay and Colour Sergeant of the Coldstream Guards who died at Creebridge on the 26th May 1869 aged 63 years. 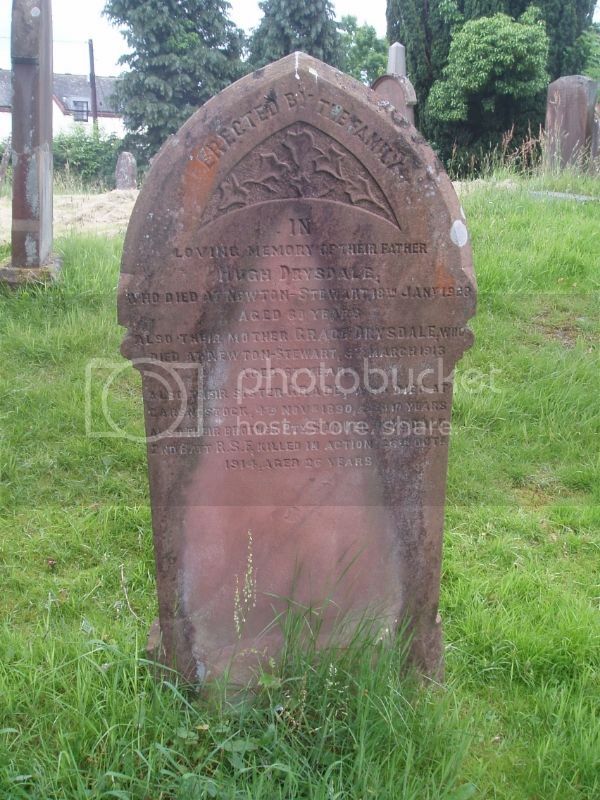 Also his daughter Agnes who died on the 8th January 1864 aged 16 years. Also his son James who died on the 23rd May 1869 aged 15 years. 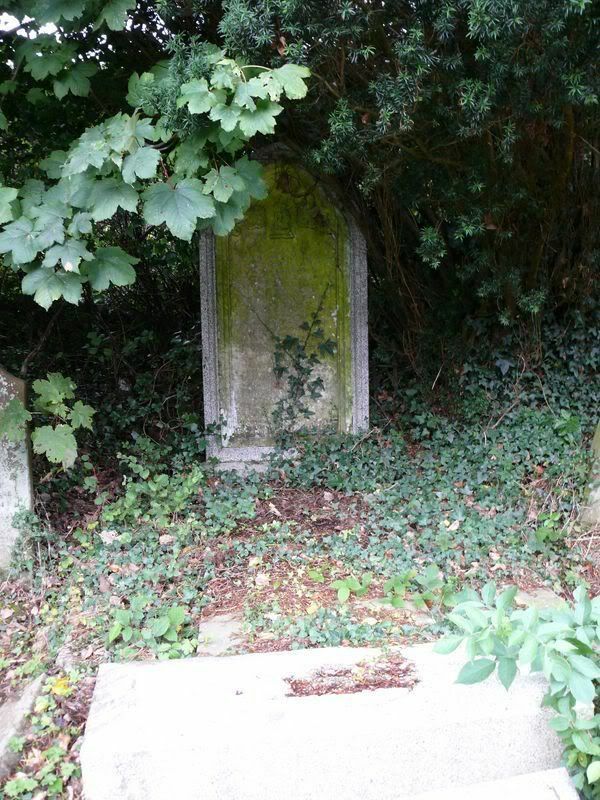 And his two sons Robert and James who died in infancy. 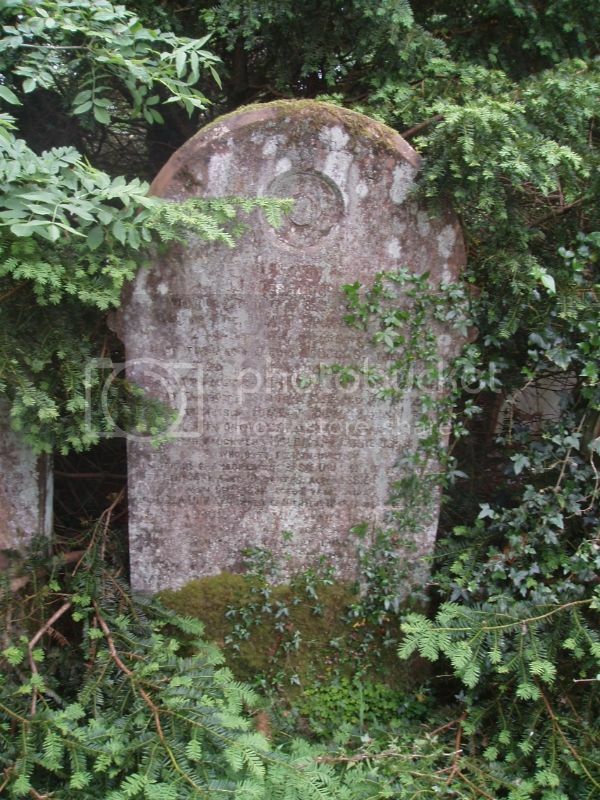 In loving memory of William Burnie who died at Barskeoch 31st Dec 1832 aged 84 years and of his wife Helen Hannah who died 1st March 1838 aged 75 years and of their third son John who died 8th June 1817 aged 21 years and of the eldest son William MD Surgeon RN who died 5th May 1836 aged 43 years and of their second son Alexander who died 2nd August 1866 aged 72 years and of their fourth son James who died 5th November 1869 aged 69 years and of their youngest daughter Mary wife of William McConnell, farmer, Shennanton who died at Shennanton 18th March 1882 aged 74 years and of their second daughter Helen who died 27th July 1882 aged 80 years and of their eldest daughter Margaret who died 1st December 1883 aged 86 years and of their youngest son David who died 24th May 1889 aged 85 years.